We believe in building trust and long term business relationship. We know our clients by name not by their file or reference number. Here are just a few of our many happy customers. 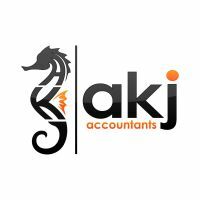 AKJ Accountants are our accountants since I opened my first flagship salon in Bond Street, from that time on I never looked back as they provided exactly the service I was looking for. Undertaking our Book-keeping, Year End Accounts, VAT Returns, Payroll as well my Personal Tax Return and general financial management. AKJ Accountants quickly understood my business and became a key member of the team allowing me to focus on my core business activities. AKJ Accountants have been very reliable and responsive to short notice requests, often going to great lengths to assist me when under pressure and throughout they have retained a sense of humour ! I would recommend AKJ Accountants to any company seeking accounting support, advice or management." We just wanted to quickly say how excellent AKJ Accountants have been as our Accountant and Tax Adviser for our rental property portfolio. They are efficient, polite and get things done quickly. We find AKJ Accountants easily approachable, personal and extremely friendly. We are very happy to continue our business relationship for a long term, it’s completely hassle free. I was contemplating acquiring a franchise to start my own business. I knew what i wanted to do but did not know the best medium to set up my business. AKJ Accountants were highly recommended by a friend as informative and accountants you can rely upon. My first meeting was over an hour long to go through different possible structures available to me. By the end of the meeting i knew the most tax efficient structure for my business and all this for FREE. I found AKJ Accountants friendly and someone who understood me and my business. Now all i do is focus on the growth of my business and leave the accounting and tax stress to my proactive accountants.